Here is my coffee maker buying guide to help you decide on which is the best coffee maker to buy. There are a wide variety of coffee brewers on the market today. In this article I will be writing about the types of coffee machines that you can buy and what features to look for. By knowing what products are available you will be able to choose the perfect coffee brewer for you and your family. 2 What Is A Drip Coffee Maker? 4 What Is The Best Single Cup Coffee Maker? When deciding on the best coffee brewing system it is recommended that you look into purchasing a programmable coffee maker. This is because they are much easier to use and can save you a lot of time in the morning. For better functionality it may also have a hot water dispenser of a removable water tank which can be easily filled with water. These types of coffee brewers are also much easier to clean and they are also quite affordable as well. It is also quite convenient as you can have access to hot water to make other beverages such as hot chocolate, soup or tea. Because everyone loves to drink coffee you can easily get a coffee maker for as little as $40. 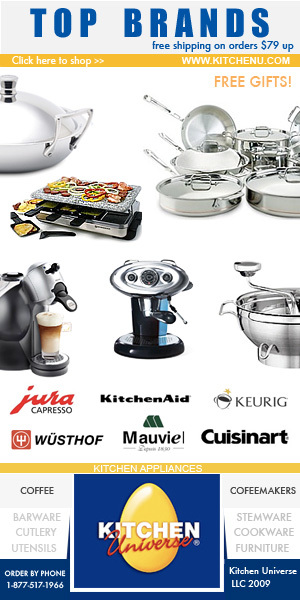 Some of the most popular brands are Breville, Cuisinart, Ninja, Hamilton Beach, Mr. Coffee and Zojirushi. Below is a list of the different types of coffee brewers that you can buy online. What Is A Drip Coffee Maker? There are two types of drip coffee makers, a manual or a automatic. The automatic drip coffee makers are by far the most popular among consumers and is the most used coffee brewer today. The reason for this is that they are very easy to use, they can make a perfect cup of coffee and they also have lots of great features that most consumers like. Because they are so popular there are many types of coffee makers to choose from and they come in many styles and colors and different models as well. They also come in a wide variety of sizes to fit nicely in your kitchen and they also vary in price. As I have mentioned above they are very simple to use, all you have to do is to measure the amount of water and put it in the water reservoir or tank, then place the coffee filter inside and then add your coffee grounds. There are an endless amount of features that a automatic drip coffee maker can have. Some of the most common features is a built in timer that allows you to choose the time you want your coffee to be brewed. Another feature is a warming element for your carafe or coffee pot. This will keep your coffee warm as soon as the brewing has been completed. When making the perfect cup of coffee the brand and type of coffee grounds used is also important. Some people like to save money and buy cheap no name brand coffee, but most coffee lovers are particular on what type of coffee they like to drink. For them they prefer more expensive specialty coffee beans that can be bought and then they ground it themselves. Some also buy pre packaged top quality coffee grounds ready to go. If you want hot pot of coffee at anytime of the day then a automatic drip coffee maker is the way to go. By shopping online you can get a great deal and have access to more additional features as well. Click here to read my review on the best drip coffee makers on the market today. What Is The Best Single Cup Coffee Maker? A single cup coffee maker is also a popular choice among coffee drinkers. This type of coffee brewer is ideal for people who are on the go or like to brew different strengths of coffee. The most popular coffee brewer bought among consumers is the 10 to 12 cup coffee maker which is ideal for entertaining or if you have a large family. But if you are single or are a casual coffee drinker a one cup coffee brewer is what you need. The single cup coffee makers are designed to brew one cup of coffee at a time, which tastes a lot better. These types of brewers do cost a bit more than multi cup machines and you can easily use pods to brew your coffee. Everything is taken care for you and you will not need to grind your beans, all you need to do is add your pod and then start the brewing process. One cup coffee brewers also come in a wide range of styles and colors. They also have several different features like being able to select the strength of your coffee or even adding foam on top. The only negative about purchasing this kind of brewer is that as the name suggests you can only brew one cup of coffee at a time. Click here o read my full review on the top rated single cup coffee brewer to buy. Many coffee drinkers today prefer to grind there own coffee beans. If this is the case you may be looking to invest in a coffee maker that has a burr grinder. These coffee brewers are one of the most popular kitchen appliances to have and are a bit more expensive then other types of coffee makers that I have mentioned above. But it will save a lot of time instead of using a separate grinder to grind your coffee beans. They also come in many different styles and models and look very stylish in your kitchen. They are like any other coffee brewer on the market but just have an added feature to allow you to grind your beans as well. Other features include programmable features so you can set the brewing time. Many of these coffee maker grinder combo makers are made from stainless steel to last for many years. Some of the top brands are Cuisinart, Breville and Capresso. Look for a coffee maker that has a conical burr grinder. This is because it will have a more consistent grind which means a better tasting cup of coffee. For more information about this type of brewer read my best coffee maker with grinder reviews. I hope my coffee maker buying guide can help you choose the perfect coffee brewer for your needs. By knowing about the various kinds of coffee makers available you will be able to make a better choice.